For many people, hearing the word “Anaheim” evokes imagery of Disneyland! If you're visiting for a vacation or going on a business trip in this gorgeous city, you can use VroomVroomVroom to book the perfect car rental. Our focus is on helping you find the perfect vehicle for your next trip. We compare rental cars from trusted brands including Alamo, Avis, Budget, Enterprise and Hertz so you are sure to get a reliable vehicle. Anaheim is home to the world-famous Disneyland Resort, to the gigantic Anaheim Convention Center, and also to Angel Stadium and the Honda Center! Anaheim is full of things to see and do, so why wouldn't you want the freedom that a car rental provides – it's the freedom to explore and experience as much as you possibly can during your trip to Anaheim! Great rates: We have negotiated with our partners so we can provide great rates. Our Price Promise can help you get the best deal! Wide selection of cars: Whether you are in search of an economy car or a luxury vehicle, you can easily find it in our list. Trusted since 2001: We are the experts in car rentals. Contact us if you have any query or need some assistance. If you are planning to go to visit Disneyland, it is best to go from March to May and from September to October because the weather is still warm and it is less crowded since it is still not a school holiday. However, most people visit Anaheim in December to experience the magical Christmas in Disneyland. If you want to avoid the peak season and long lines at Disneyland, it is best to travel the first few weeks in November or in January. If you're in Anaheim on business or for a convention, you might also need a car rental to drive back and forth to Los Angeles. Anaheim's about 25 miles southeast of Downtown L.A., but believe us – in L.A., it can seem like everybody has a car! Traffic can be heavy at times, so when you're choosing the type of car rental and options you desire, it's probably wise to get a vehicle equipped with GPS. And while air conditioning is standard, be sure to test that feature before exiting the car rental lot – you could regret it if you don't! If it is your first time to drive in the United States, you might want to check out our driving tips. With so many fun destinations packed into a relatively small area of California, getting from place to another can be challenging – that's why booking a car rental at VroomVroomVroom is highly advisable. You can get around Anaheim quickly and easily when you have your own rental vehicle, and it allows you comfort and space for your family members and all their souvenirs. We have listed down the places that you should check out on your next visit. The Disney theme park started in Anaheim in 1955. Initially it had five themed areas like Main Street USA, Tomorrowland, Fantasyland, etc. later three more areas were added. In 1998, the amusement park was renamed as Disneyland Park to set it apart from Disneyland Resort. A trip to Anaheim won't be complete without visiting this beloved Southern Californian destination where your Disney dreams can come true. Started by Dan Aykroyd and Isaac Tigrett, this music hall plus restaurant chain is the place to go for a night of good music and food. Located in Downtown Disney, House of Blues is the ultimate night out destination in Anaheim. You can start your gastronomic adventure at their Restaurant & Bar as early as 11 a.m. You can also join their live band karaoke and show off your singing prowess. It is a sporting arena that can be converted to an amphitheater in only in five hours, which is pretty cool. The official tenant of this hockey stadium is the “The Ducks” and it has hosted shows of artists like Tina Turner, Aerosmith, Shakira and other leading singers. Located just around the corner from Disneyland® Resort, the Anaheim Majestic Garden Hotel is named for the gardens that grace the 13-acre property, Anaheim Majestic Garden Hotel is an experience that's as magical as the main attraction just down the street. Its 489 rooms are extra large, the Dream Machine shuttle is free and there's a Disney Desk where you can buy Disneyland® Resort Tickets. And when it's time to unwind, there's an outdoor pool & Jacuzzi, garden courtyards, a koi pond, and a family fun center. The Garden Court Bistro is a great place to enjoy breakfast, lunch, or dinner. Plus, coming soon, the all new Hanagi Restaurant will offer authentic Japanese temptations for the whole family to enjoy. In addition to a great family escape, the Anaheim Majestic Garden Hotel provides a diverse array of meeting space, catering selections and pre- and post-meeting adventure. Featuring over 20,000 square feet of flexible meeting space, the hotel offers fifteen meeting rooms ranging in size with beautiful natural lighting and state-of-the-art AV capabilities. Outdoor space with picturesque gardens set Anaheim Majestic Garden Hotel apart from the standard meeting hotel. 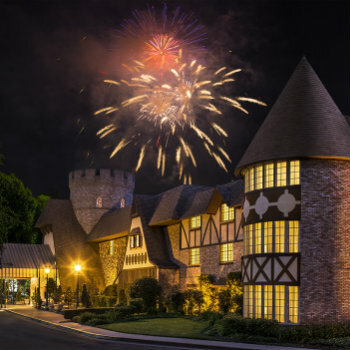 Situated 30 miles away from Los Angeles and just an 8-minute drive to Disneyland Resort, Hotel Pepper Tree is the ideal getaway for those who want to explore both areas. This beautiful boutique hotel is known for its rustic Spanish decors infused with Californian style. This place is owned and operated by Australians who wanted to provide romantic yet affordable accommodation right in the heart of Anaheim. Hotel Pepper Tree boasts of its 82 spacious kitchen studios, a meeting and banquet space good for 75 people, and a restaurant that serves scrumptious Mexican-Seafood dishes. Alamo Anaheim Downtown Disney - 1565 S Disneyland Dr Ste 105, Ste 105, Anaheim, . Alamo Anaheim W Katella Ave - 711 W Katella Ave, Anaheim, . Avis East Fullerton - 1900 East Orangethorpe Avenue, Fullerton, . Avis Anaheim, Ca - 200 West Katella Avenue, Anaheim, . Budget Fullerton Ca - 1900 East Orangethorpe Avenue, Fullerton, . Budget Anaheim - 200 West Katella Ave, Anaheim, . Enterprise West Anaheim - 426 S. Euclid, Anaheim, . Enterprise Anaheim - 231 W Katella Ave, Anaheim, . Enterprise Hilton Anaheim - 777 W Convention Way, Anaheim, . Enterprise Fullerton - 729 W Commonwealth Ave, Fullerton, . Hertz Fullerton Hle - 1620 S Harbor Blvd, Fullerton, . Hertz Dt Anaheim Marriott Hle - 700 W. Convention Way, Anaheim, . Hertz Dt Anaheim Hle - 221 West Katella Ave, Anaheim, . National Anaheim W Katella Ave - 711 W Katella Ave, Anaheim, .